I’ve been using Checkout 51 for a while now. It’s a great new service! I always like to ‘checkout’ a service before I recommend it. That means that maybe I am not always the fastest to bring you the new stuff, but when I do, you know it has been vetted and that it does, indeed, pay, and isn’t a hassle. They way Checkout 51 works is this – every week, they post a new list of offers. You can print them out if you like. OR, if you have a smartphone, you can download the app. Then, you shop as you normally would. When you get done, either scan or photograph your receipt, and you get credit on the offers you bought. Your balance adds up, and when you get $20, you can withdraw it. What’s cool is it combines with coupons, e-coupons, and other kick back services. So far, every week I’ve used it, they offered a vegetable, which is a food category that is a bit hard to find coupons for. There should be no reason why you cannot use this service if you use food stamps/SNAP. In fact, it might be one of the best services I’ve seen for people using SNAP. They’ve had several very healthy, inexpensive, everyday products, such as strawberries, OJ, eggs, and carrots. 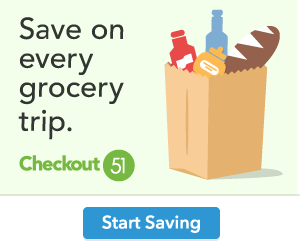 I’m finding that combining coupons with Catalina’ At-Register deals, SavingStar, Ibotta, Checkout 51 and Rebates – I’m trimming my food and household expenses down more and more even after I leave the store. If you have questions – catch me on social media or leave me a comment! This entry was posted in Coupons, Extra Money Online, Saving Strategies and tagged coupons, grocery savings, kick back on groceries, saving strategies. Bookmark the permalink.